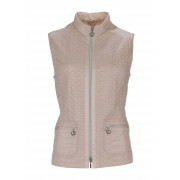 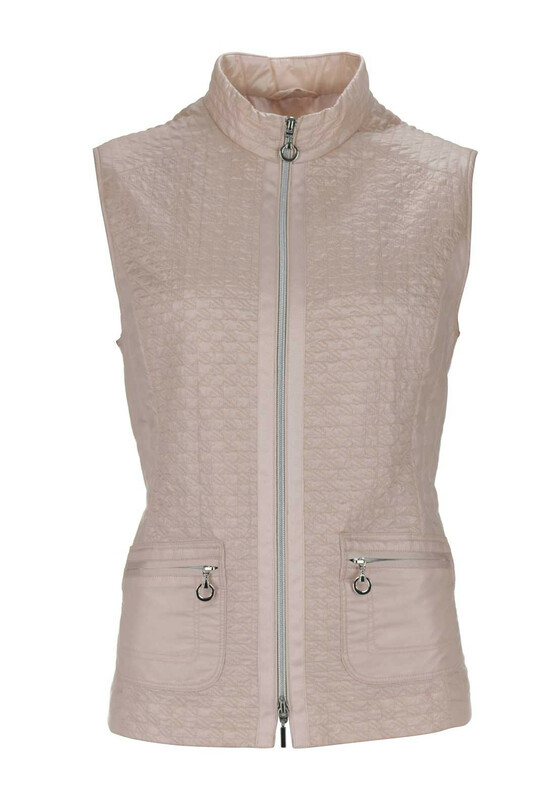 Gerry Weber presents this stunning Pink Gilet. 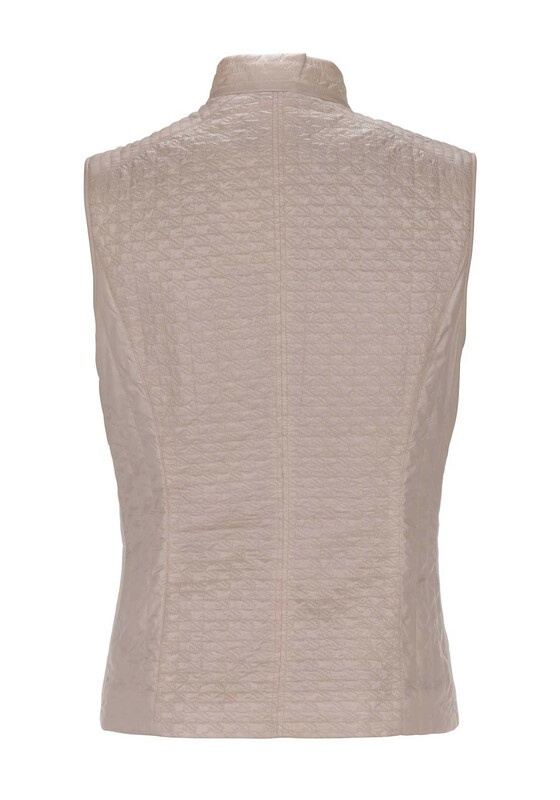 A versatile light cover up that can be worn with so many options. 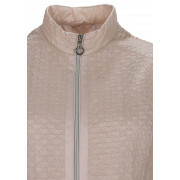 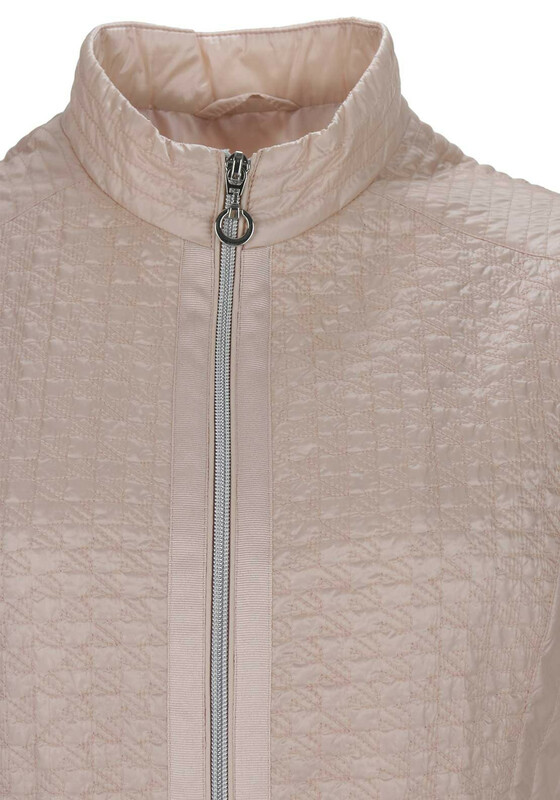 Features on the front include a visible silver zip down, two pockets with zips and quilted effect down both sides. 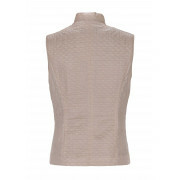 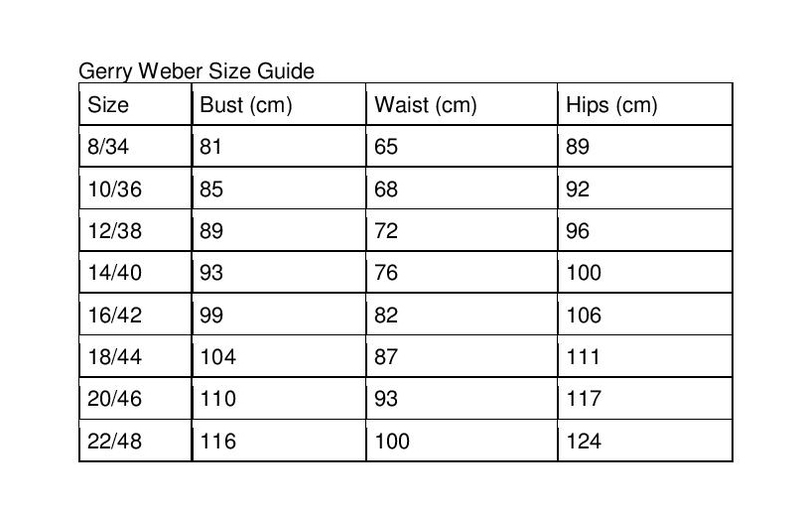 Crafted from a high quality light weight fabric.